industrious justice: Opportunity to Support the Fight for Air Climb or Great Strides Walk! Opportunity to Support the Fight for Air Climb or Great Strides Walk! As part of my 2014 goals, I will be participating in two events that are both perfect combinations of fitness, fun and fundraising! If either (or both) of the causes below resonate with you (and you are able), please consider making a small donation. I would greatly appreciate it, as I know the respective organizations will as well. In March, I am joining hundreds of others in the important fight for children with asthma, teens who are pressured to start smoking, people with lung cancer and emphysema, and everyone who wants to breathe healthy air. I will be climbing the 52 flights of stairs to reach the top floor of 555 California in San Francisco. Yes, 52 flights! That's 1,197 steps! I did this event last year, when I was completely out of shape, so needless to say I am super excited for take two. Bottom line? I am climbing because I CAN. If this cause is meaningful to you, and you are able, please click here to make a donation. I am participating in this walk to support one of our newest and littlest friends, Buster! Buster was born on May 3, 2013 and he has cystic fibrosis. That means that he cannot digest his food like you and me, any infection is very serious for him and he takes several medications, breathing treatments and chest physiotherapy daily. 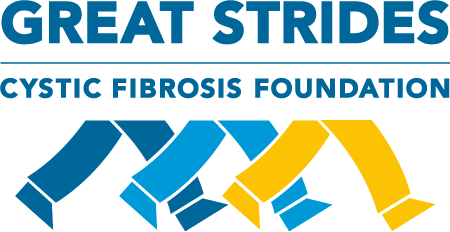 I am walking to support Buster and the Cystic Fibrosis Foundation, which funds and supports the development of the drugs and treatments that can give Buster, and thousands of other people living with CF, as many tomorrows as possible. More on Cystic Fibrosis (CF): CF is an inherited chronic disease that affects the lungs and digestive system of about 30,000 children and adults in the U.S. In the 1950s, few children with CF lived to attend elementary school. Today, advances in research and medical treatments have further enhanced and extended life for children and adults with CF. Many people with the disease can now expect to live into their 30s, 40s and beyond.